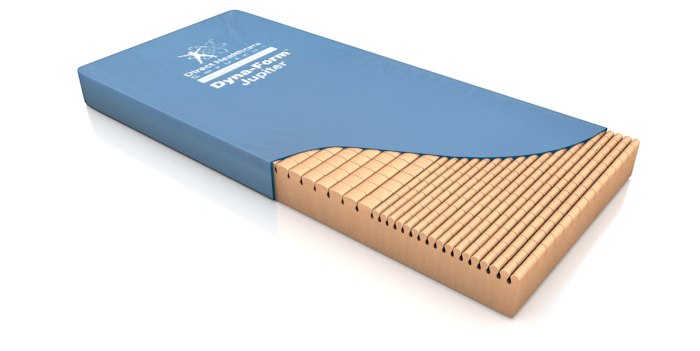 The Dyna-Form® Jupiter mattress can be used with patients considered to be up to that of High Risk of pressure ulcer development. 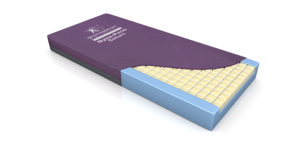 Using modern foam designs, castellated on one side to aid pressure ulcer management, whilst providing excellent patient comfort; this mattress can be used without a turning programme, aiding moving & handling procedures. 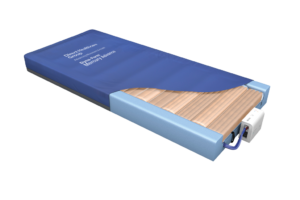 Jupiter can work comfortably with any electric profiling bed frame. 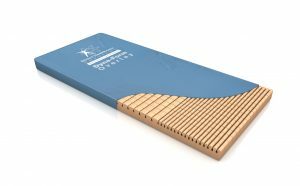 Its durable design uses only the very best CME foam & fabrics to provide a modern mattress complete with infection control enhancing cover. 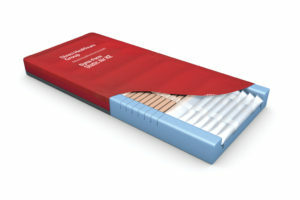 Also Available in Pro-Formance™ Strikethrough Resistant Cover.